*Review product provided by Fort Magic. All opinions are 100% my own. Being the first in four generations to have a boy, I had no idea what I was in store for and honestly what soon to be parent does? I actually figured since my sisters and I were as tomboy as girls come, we wouldn't really have that hard of a time learning how to deal. Boy was I wrong! Boys have more energy and are more active because of it. They just have this natural instinct, it seems, to constantly be on the go. 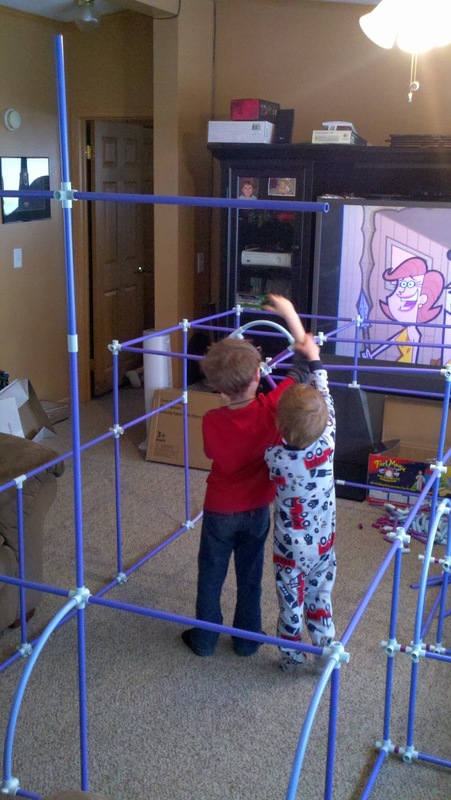 One of the activities they have always loved to do is building forts and again what kid doesn't. It seems almost coded into everyone's DNA so love hiding out or imagining a whole new world at some point in your life. Even as an adult we love to take vacations (to a world different than we are used to). Camping in a tent is fun at most any age (although all adults may not love it). And if you are parent I am sure you've been asked at least once to construct some sort of tent, fort, or play structure! Imagination, creativity and self construction of these playlands is an essential part of growing up. Of course my children have become very aware of my job as a blogger and reviewer. THey are frequently reviewing products around the house (which are not review products), "typing up their own reviews" as they put it or will ask me to email a company they see on TV so they can "review" the product themselves! I get a kick out of this but they are just copying what they see Mommy do for work! 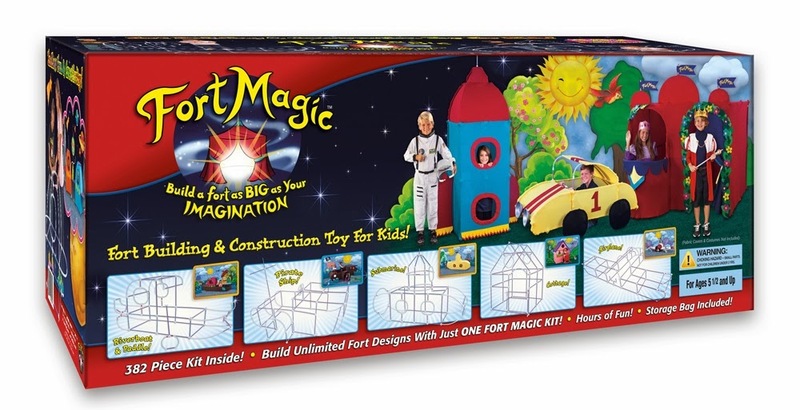 One of the companies which they quickly took note of this past year and asked to "review" was the Fort Magic Set. Luckily the team over at Fort Magic has been beyond generous in working with me at A Lucky Ladybug! 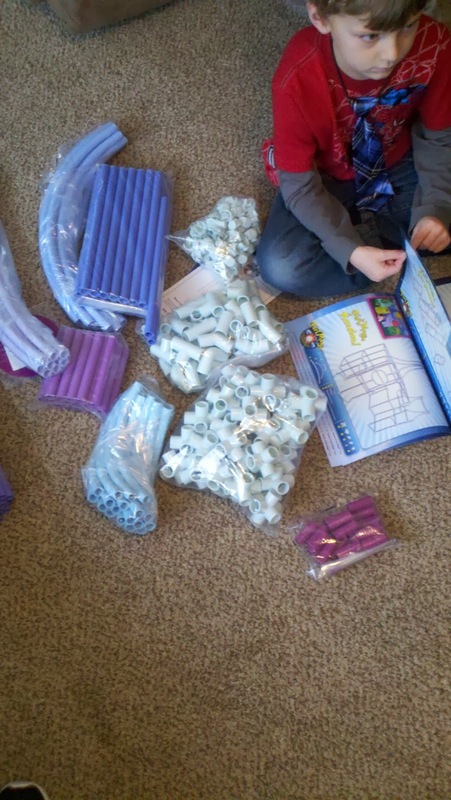 We were sent over the Fort Magic Fort Building and Construction Toy Kit For Kids to review and all I can do is start with WOW! 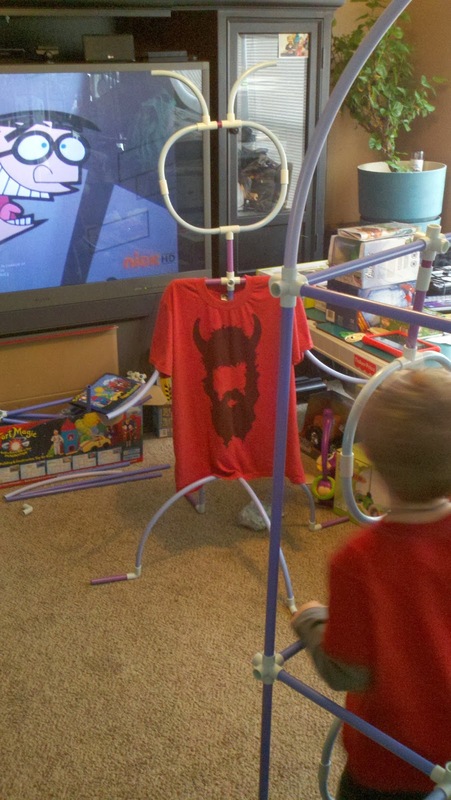 "The “Magic” Of Fort Magic Is In The Number And Variety Of Sticks And Connectors!" This kit comes with 382 pieces to create most whatever you or your child can imagine. The instruction manual which comes with the kit includes 20 design how to's as well as an awesome caryying bag for easy cleanup and storage. This just seemed right up there alley where my children can build any structures they so choose, tear them down, and start all over with something new all day long! Even Daddy was pretty psyched to play with this one as well as teenager Alana! The kids took turns with who could pick what to build next. What's even better is they challenged each other with creative additions to each contruction. It seemed to me that the more they built and destroyed the more creative they would get with each project. They learned how different pieces would work better for something they wanted and were constantly coming up with new story lines for their structures! The great thing about this one is that they are having a blast while actually learning at the same time AND it was something that the whole family could do together even though it is geared for children (and less for adults). Not only does this help with building concept skills it allows them to imagine up and visualize worlds they might not have without this! An exciting moment which recently happened for the wonderful Fort Magic team is they were recently awarded a utility patent from the United States Patent & Trademark Office! This is not only an exciting honor but shows what a truly unique fort building and construction toy kit this is. Now owning one, I truly believe in everything I've heard and seen about the company! I could go on even more about this product but you will honestly just know once you have one! I just have one more thing to share which is the Fort Magic Mission Statement since I think it reflects everything I already mention in this review and more-so how I feel about this brand and my own children! "Building Greatness In Children One Fort At A Time. 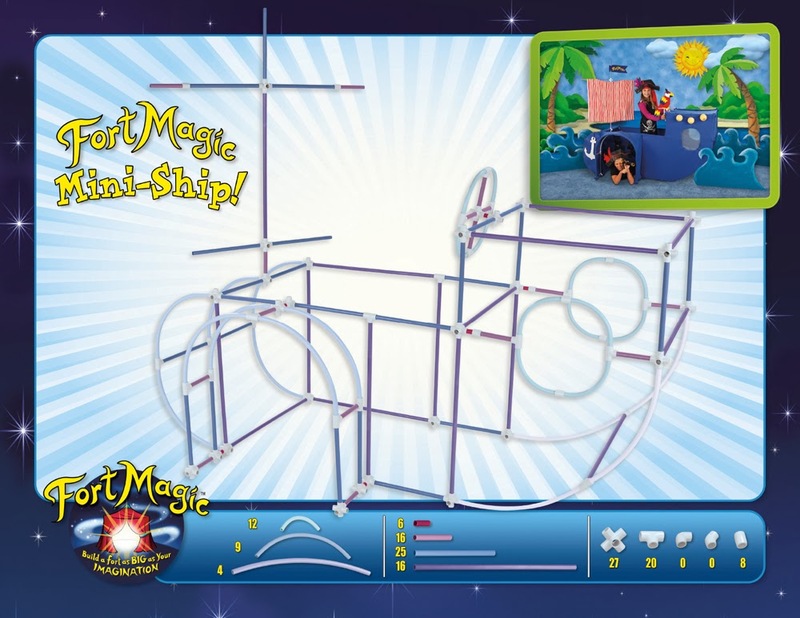 Fort Magic is dedicated to creating products that celebrate the greatness and uniqueness of every child as an individual. We believe that every child deserves to become a confident human being, experiencing life in its most loving, abundant and unlimited potential. Achieving happiness through individual and creative self-expression, with positive and meaningful connection to the world and others around them. 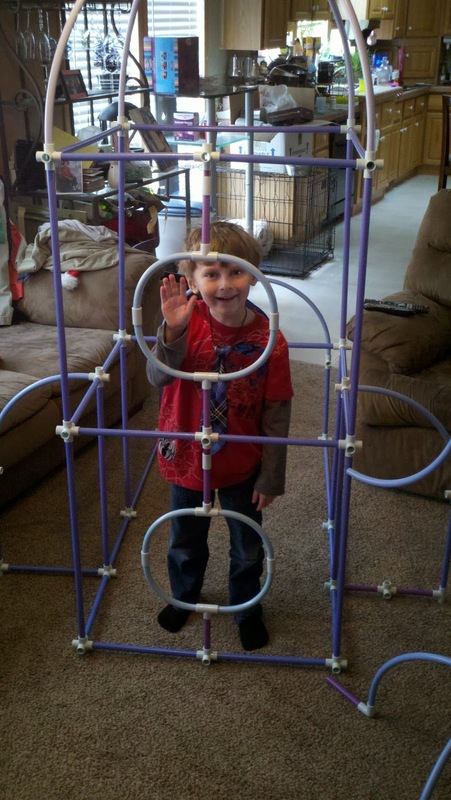 Fort Magic believes that any child can build the life they dream of!" *Remember fabric is not included. Recommendation: The 20 designs barely scratches the surface of the possibilities you can construct with this set! On the surface it might seem like an expensive toy purchase but you are getting more than you can imagine and all quality parts. Instead of buying one fort/playhouse for probably even more than this, you are getting an endless amount of them! My kids are dying for us to move into the new house where we will have even more room to build something "amazing"! 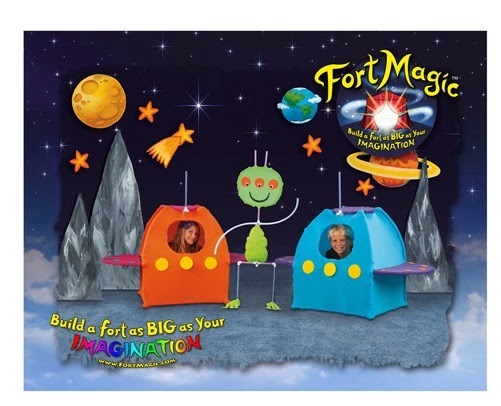 Giveaway: Fort Magic is going to give one of A Lucky Ladybug's lucky readers a Fort Magic Fort Building and Construction Toy Kit For Kids of their own! This begins tonight in the Magic of March Giveaway Event. i would choose fort magic castle for my little princess. We would build the Playhouse first. This set is great -- kids would love building all of the different things. I would probably build the castle for my beautiful granddaughter first. 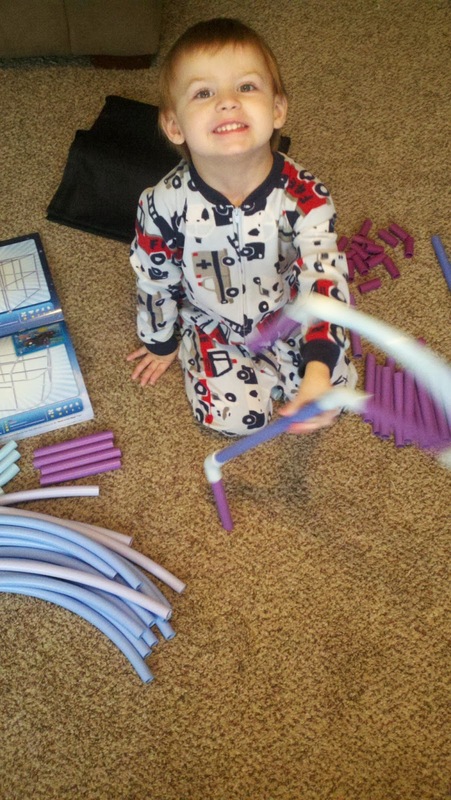 She is only 18 months old, but I think she would love to at least help build things! I was a little bummed that it doesn't come with material, but looking at all of the pieces, it shouldn't be a problem! Love a child's imagination! God bless everyone! I just wanted to make sure my comment worked! I would make the castle first for my granddaughter! This may be a double comment, so sorry if it is, but just wanted to make sure I got it in. I was a little bummed about the kit not coming with material, but LOVE all of the pieces! We should have a great time. God bless everyone! Love that it's interactive and creative. 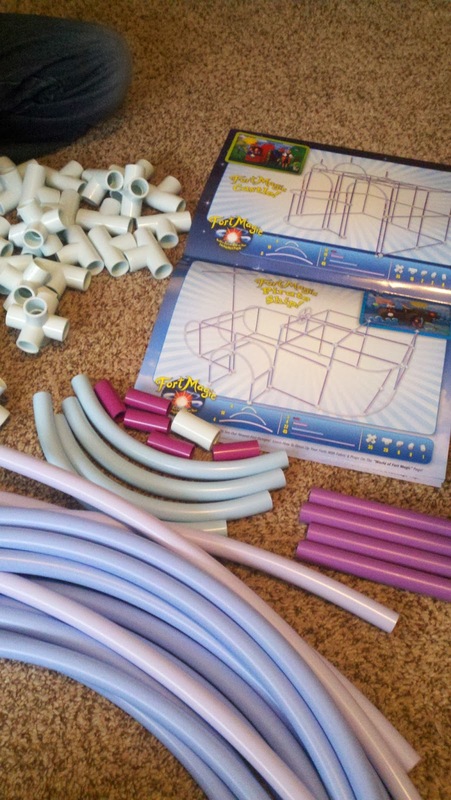 It helps stimulate imagination and can be used by both boys and girls. I love the idea of this! 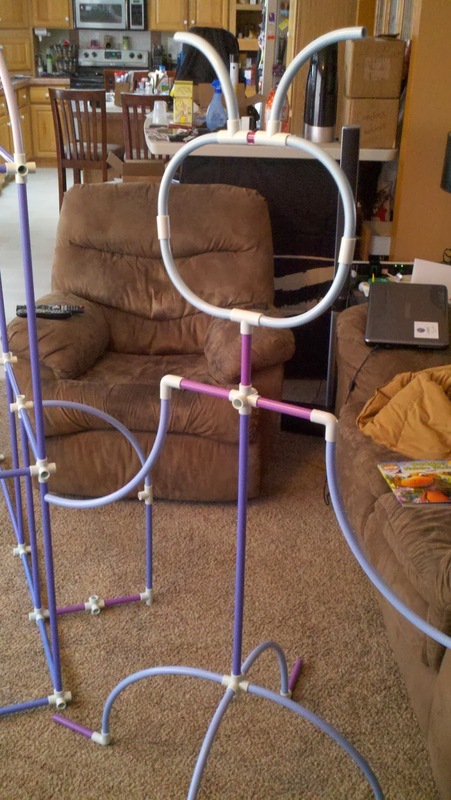 The first build for a crawler would definitely be Tunnel (but fort optional... lol) This will grow with the child! I let my four year old daughter look through their designs and she chose the castle :) She and her sister are always dressing up in princess dresses and asking me to make them a castle! They would LOVE this! I love how open ended this toy is and that you can build everything with just one kit. My two girls, ages 4 and 2, will love this! We would build the castle first! I think we'd build the tunnel and fort first since my daughter likes tunnels and little houses. It would be a good intro. My kids would LOVE this....we'd start with a tunnel and fort! I would build a castle. Chelsea loves building "tents" for her baby sister. My girls will definitely want to make a castle first! I want to win for Boo. 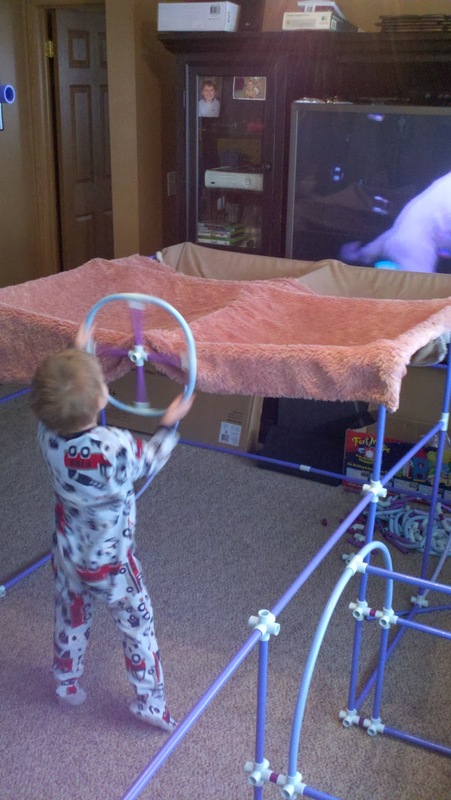 I know when I was a kid, building "forts" was one of my favorite things to do. This would be for my 2 sons , Jamison and Andrew. 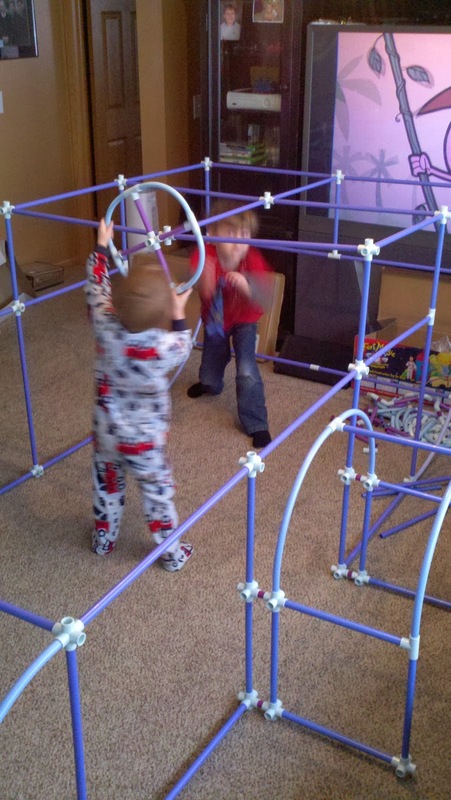 They live for building forts lol and this would be a safer option than some of the other things they choose! I would absolutely love to win this for my two daughters, ages 3 and 5. The love love love building secret clubhouses and forts. We do our best, putting sheets over their beds, play kitchen, tables and chairs but winning this would be amazing. And it would leave my sheets nicely folded in the closet. I have five grandchildren who would love putting this fort together. This would be so good for their imaginations and for them to learn with. I`d love to win this for my son. Forts are always so much fun!! !